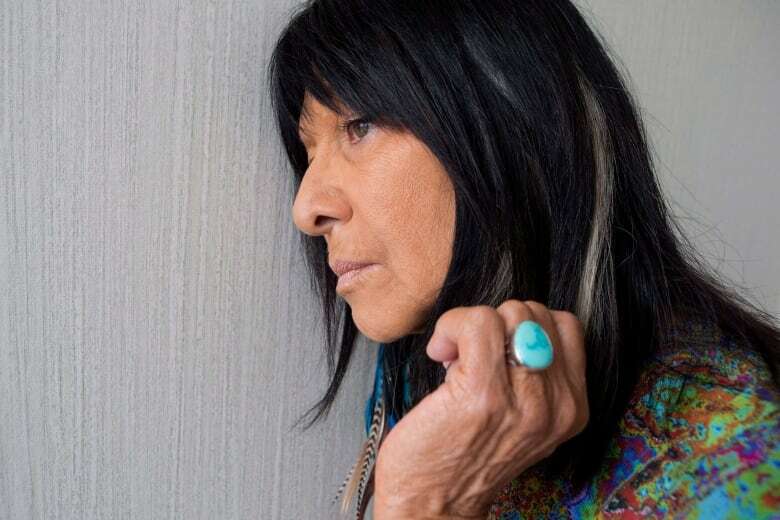 Iconic Canadian singer-songwriter Buffy Saint-Marie speaks with guest host Helen Mann about her decades of political activism and what it means to be honoured with the JUNO's Allan Waters Humanitarian Award. Over a career that's lasted more than 50 years so far, Buffy Sainte-Marie has been one of Canada's most outspoken, and fearless artists. Her music is as vital now as it was when she started out in the early '60s: in 2015, she won the Polaris Music Prize for her album "Power in the Blood." Now, she's about to win another JUNO Award — but this one is not just for music. Sainte-Marie will be honoured with the Allan Waters Humanitarian Award, for her work protecting Indigenous people and culture. 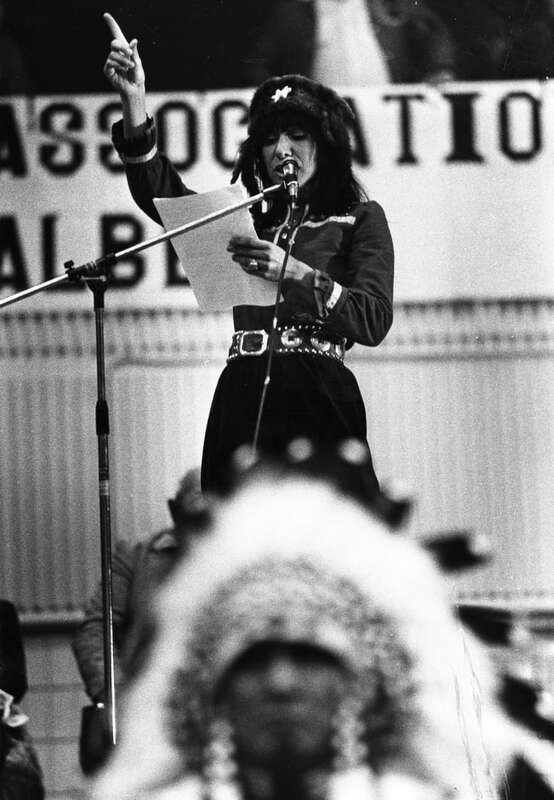 Buffy Sainte-Marie was born on the Piapot Plains Cree First Nation Reserve in the Qu'Appelle Valley in Saskatchewan. She spoke with As It Happens guest host Helen Mann. 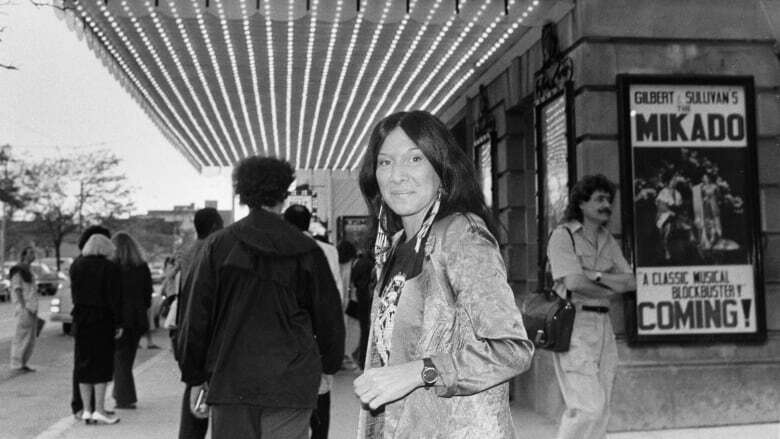 Helen Mann: Buffy Sainte-Marie, congratulations on this award. 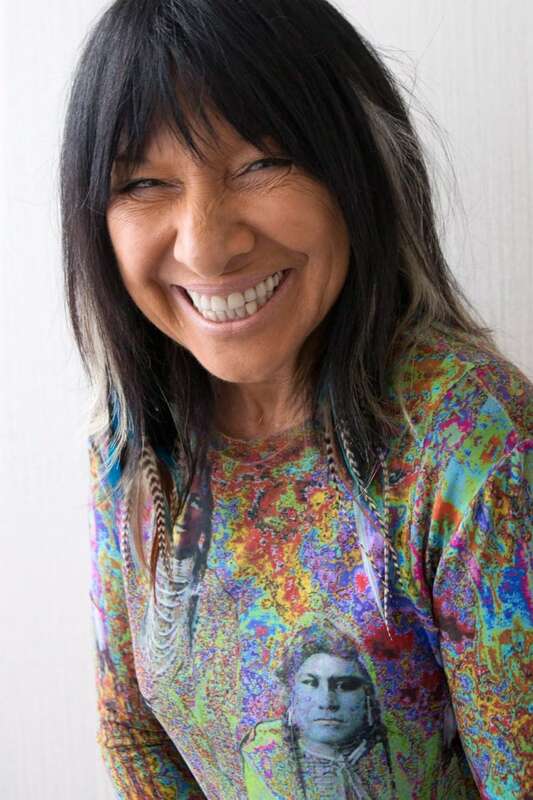 Buffy Sainte-Marie: Thank you. It's pretty daunting. HM: You've received so many awards and honours over the years. What does this particular one, and what it's for, mean to you? BSM: When somebody broke the news to me I was just so flattered. I remember seeing the Arcade Fire piece that was done at the JUNOs. Just seeing that the JUNOs actually care about what artists are doing outside of making hit records. I mean, that's a step forward for the record business I think. I've been in the record industry for a long time and I do appreciate it when the business side recognizes the visionary side of artists because philanthropy, giving, you know, they're not all about just handing out cash and money. It's so beautiful to see the JUNOs honour the work that artists are doing out of the spotlight. It's pretty humbling to be included with the other artists I see are on this list — yikes! HM: Let's talk a little bit about your vision. You've been called an "instigator of change" when it comes to your activism in support of Indigenous people. How would you characterize what you've done and what you continue to do? BSM: In the first place, I'm lucky. I'm very fortunate in that I have all these airplane tickets and I can go flying all over the world to this reserve and that reserve. Even beyond, you know, in Australia and in Scandinavia, involved with Indigenous communities there. When your eyes are open to that kind of fact and when you're meeting people who are just plain real. They really are from those traditional Indigenous communities. You learn something that you never forget — about the sweetness, the diversity and the fun of people everywhere. You learn that it's more than just war, money and headlines. I'm fortunate enough to have had a whole lifetime of being a bridge between those two worlds. It was beautiful even the first time that I did it — when I brought Indigenous culture to the people I was singing for in Paris, for instance. Then I bring rock n' roll shows to a reserve. It's really nice to be bicultural and to go back and forth. I think that's been something of lasting value beyond myself. HM: Is it daunting at any time to for you to have the voices of these people in your ear and to have the expectations that you're going to bring their issues to the public light? BSM: No, I don't think anybody has those expectations really. I think they are surprised when anybody says anything. When it comes to Indigenous stuff, we're such a small population and such a drop in the bucket. That's why I continue. I continue to bring both the bad news and the good news in and out of Indian country because I'm with the people. I know we can make good changes. Not only within our own communities but beyond our communities where help is really needed in understanding the tangle of colonialism. I mean "stay calm and decolonize" — that's my motto and has been for a long time. But I think maybe the Allan Waters award isn't only talking about Indigenous issues. I think probably they're talking about [songs] like Universal Soldier, Moratorium, Power In The Blood, We Are Circling and Carry It On — things that affect everybody are also front and centre when it comes to being a songwriter living in this world that we live in. HM: Some of your work towards peace, for example. BSM: Yes and I'm glad you put it that way because some people will say, "Oh Buffy, you're such a warrior!" I say, "No, don't call me a warrior." That's a word that should be reserved for veterans and soldiers who actually will go out and risk getting killed, which I will not, or kill somebody else for whoever the politicians at the moment are. I won't do that either. Alternative conflict resolution is the word for me. So I don't say that I'm a pacifist or a warrior. I say that I promote alternative conflict resolution, which is good, and sometimes it gets lost in the shuffle of shouting polarities. Just deal with it. Just do it. Just make it better wherever you find it. HM: We look at the history of your songs, going back to the Bury My Heart At Wounded Knee, more recently, Uranium War. You're talking about the strangle hold you see that corporations have on the lives of many Indigenous peoples and fighting that. Who do you hope is listening to those songs? What do you want to inspire in them? BSM: Thinking mostly. I feel as though sometimes I'm delivering new information or else I'm delivering information that has been there all along but hasn't been presented in a three minute song. I could write a 400-page book that nobody would ever read and it would wind up on the shelf in two weeks. But a three minute song can last forever. It's portable and it's replicable. People can do it in different ways. But it's mostly about getting the underlying message into the heads of people who are open to hearing it and sometimes even not open to hearing it. BSM: You have to be clever sometimes. Bury My Heart At Wounded Knee is very clever. You're listening to a rock n' roll song before you realize what it's about, which is something quite serious. I think what's important about my catalogue, it's not just a catalogue of protest songs. But it's a whole lot of love songs and songs about all kinds of things — country songs, rock songs and dance songs. When you put it all together, the protest songs, which are really, really strong, you get a different perspective on them. When you realize that they're coming from somebody who really loves life. I'm really writing it from the point of hoping to have an impact on people and supporting their own love of life. A lot of people are not bothering to do that right now. I don't know where all the great protests songs are. I mean here we have these extraordinary developments in many countries of people getting elected. I don't know where Paul Simon and Sting, and the rest of them are. I don't know if people are not courageous or not thinking. Where are the songs? HM: Do you see a new generation of protest song writers potentially taking their place? BSM: Now and then I do. But for the most part, no. People are writing songs in the music business to get rich and famous, by and large. Where I see it most is in hip hop. A lot of the great songs of meaning are coming through hip hop. They might be done by white people, aboriginal people, black people, whoever. But that seems to be the genre where people are really saying things. And of course, reggae always has. HM: Who in this generation are you listening to? Who do you think we should be listening to? BSM: [Laughs] You know who I've been listening to — Alanis Morissette. Jagged Little Pill continues to be the best record ever. The things that she's protesting, she's yelling like heck about very personal issues. A lot of people can relate to that. A Tribe Called Red — they're not doing things that are so much protest as they are sticking up within the hip hop community with the fact that Indians exist, which is something I've been happy about. I'm looking at Beyoncé and she's certainly sticking up for certain domestic points of view. But most of the popular players of this time are not doing it. It's very hard to get it through the record business system. So maybe these other great writers are writing protest songs and they just can't get them through. I don't know. For more on this story, listen to our full interview with Buffy Sainte-Marie.